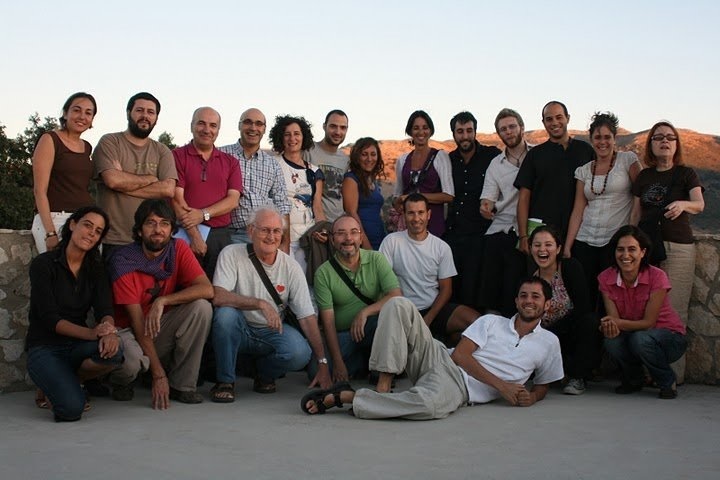 In 2006 a group of scholars and researchers established The Spanish Network for Ecological Economics – EcoEcoEs. Aiming to expand the scope of ecological economics and political ecology within the country, the common interest of this group was to promote and coordinate the teaching on ecological economics and to enhance further development of research in this field. They also shared experiences of lacking academic support from their respective universities. Attempts to introduce ecological economics and political ecology in courses on economics was, in some cases, confronted with total opposition. The fact that it was promoting something different than the so-called “neo-classical”approach in economics was frowned upon. The Spanish Network for Ecological Economics has its base at Pablo de Olavide University, in Seville (Spain). However, from 2006 to 2014, the network members have been organising annual meetings in various cities across Spain. These meetings have served to create synergies between scholars, decision makers, and members of the civil society, as well as to disseminate the results of ecological economics and political ecology research. A webpage has been set up which contains information, academic materials and publications. The research carried out is also communicated through a blog and a series of working papers. Since December 2010, the network has been formalised and acquired legal status as the Association for Ecological Economics in Spain. As a member of the association, I believe that the need to promote a different approach in economics is nowadays urgent. The world is not consisting of egoistic individuals aiming to maximise their personal gain, as “neo-classical” economics supports. Those who are teaching economics share the great responsibility of choosing whether or not to convey an approach to economics that, in the words of Giorgos Kallis, “has become the secular equivalent of religion. It includes an entangled network of scriptures (textbooks), disciples (students) and preachers (professors), trained to believe without questioning the supremacy of the free market and devotedly working to prove it in each and every context, defending it against non-believers”. A good example of this can be located in a number of primary and secondary schools of Spain, where children are thought the non-mandatory subject of “financial education”. The content of this course, which is created by the Spanish National Stock Market Commission and the National Central Bank of Spain, has been strongly criticised. In explaining a classification of financial expenses that students will have to meet in the future, residential mortgages are on the front line as compulsory financial expenses, while living expenses are classified as non-compulsory and therefore reducible expenses. In the context of economic crisis in Spain, with 20% of the population living below the poverty line, concepts such as non-recourse debt (not recognised in Spain for mortgages), are completely lacking from the course’s content. 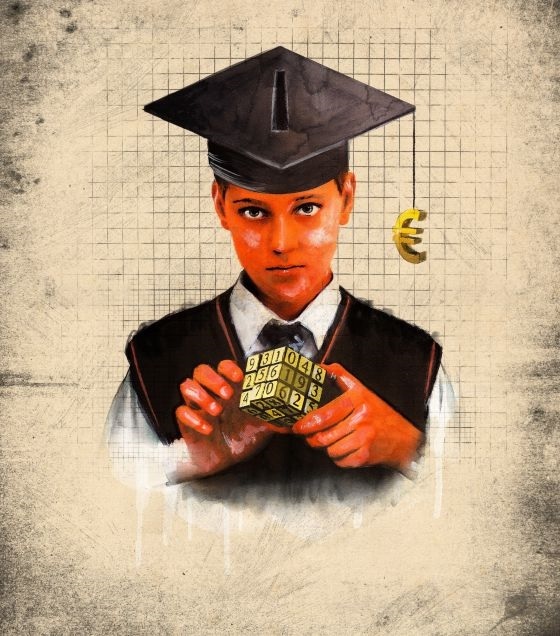 Critics of the “financial education” are questioning its objectivity, pointing to the ideological notions that are inherent to this type of teaching economics. The underlying purpose, critics claim, is to shape the thinking and direct the future actions of students away from contesting free market principles. At university level, Giorgos Kallis has explained how, in the “Battle of Harvard”, diversity was killed in economics as it became a scientific field. He points that “what is taught in economics today is not the result of a noble struggle of ideas, but of political power and force”. I always remember the anecdote of a Spanish colleague, today an ecological economist with a background in economics, whose first contact with ecological economics came only after she had finished her graduate studies. It was only then, that a professor recommended her to read La Economía en Evolución; a book written by José Manuel Naredo, one of the leading ecological economists in Spain. As in many other faculties of economics, the ecological approach to economics was excluded from the academic program. Both for students and professors that dare to question neo-classical approaches in economics, the Association for Ecological Economics in Spain can serve as a meeting point, to discuss and to promote another Economic science. Ecological economics focuses on the fundamental limitations of monetary valuations of nature. It is based on an understanding of the economic system as an open system that is in relation with all the other systems that make up reality. To see the market as the sole coordination mechanism or to argue for free trade complemented by sustainable resource use and environmental policy, has proven overstated, if not outright incorrect. Ecological economists like Joan Martínez Alier, have indicated that the study of physical flows, which makes visible the material origin of the conflicts caused by social metabolism, should be combined with the contextualised analysis of power relations, which is in turn the study object of political ecology. This approach could be difficult to incorporate in a graduate introductory course to economics, where the objective is to initiate understanding on the principles of economic science. Moving on from there, professors on economics that are critical towards free market principles have two possibilities. If they cannot change the curriculum of the course they teach, they can at least introduce the concepts of ecological economics and political ecology through readings and examples, encouraging the practice of critical judgement among students. If they have the possibility of changing or even developing the contents of the course they teach -which is certainly complicated and uncommon- they carry the obligation of transmitting quality knowledge on neo-classical economics, ecological economics and political ecology. As an example, together with Esther Velázquez and Miguel Gual – also founding members of the Spanish Association for Ecological Economics – we brought into being the course of “Economics applied to the Environment”. The curriculum is designed for first-year graduate students of Environmental Sciences at Pablo de Olavide University. The first part is devoted to the principles of neoclassical economics and environmental economics. Following this, we encourage students to “see the world through different lens”, explaining the main concepts and theories of ecological economics and political ecology. The first exercise consists of asking students to answer “What is economy?” using a photograph. The novelty of this practice lies in three factors: 1) the students have to answer at the beginning of the course, before being exposed and influenced by the course’s theoretical material 2) the answer has to be through an original photo, taken by themselves, particularly for the purpose of the exercise; 3) at the end of the course, they have to answer to the same question. The practical part of the exercise is accompanied by discussions, in which students can explain why and how they came to the answer they presented. Differences between the first and the last photograph are amazing: at the beginning students associate economy mainly to money, whereas at the end photos reflect aspects such as inequalities, power and conflicts, among others. This course includes eight exercises along the same lines, promoting creativity and experiential learning. It proves that it is possible to teach another Economic science, that goes beyond the free market principles and that uses innovative approaches far from the conventional economic handbooks (Velázquez, E., 2015, Cuentameló con una foto. Otra forma de enseñar, otra forma de aprender. Forthcoming). The central role of educators, ecological economists and political ecologists, brings out issues of social responsibility that should be taken into account as these professions develop. The Association for Ecological Economics in Spain stems from the need of a group of scholars to empower themselves and challenge neo-classical economics, promoting a more critical approach in the field. Today this need remains and grows stronger, as does the work of the Association for Ecological Economics in Spain.